At Creativeworks-Design, we have grown together with Top Kart USA over the past 4 years creating not only great print, web, and video content for their company but creating a true relationship. We love to get close to our clients and really dive into their company head first with an attitude that will greatly enhance their workflow along with productivity to allow our work to become easier to design and create awesome things for their business. Deeply rooted into gokart racing, Top Kart USA is a highly professional and well trained racing team staff ready to put your racing needs into high gear. Revved up and ready to race in their arrive and drive programs, or if you’re ready to own they are their to help you every step of the way. Working with Top Kart USA, we have now helped them achieve the top spot on the podium in their marketing tactics and the way that they are able to communicate directly to their clients. We have designed and developed a mobile application to greater enhance their clients’ experience within their company. 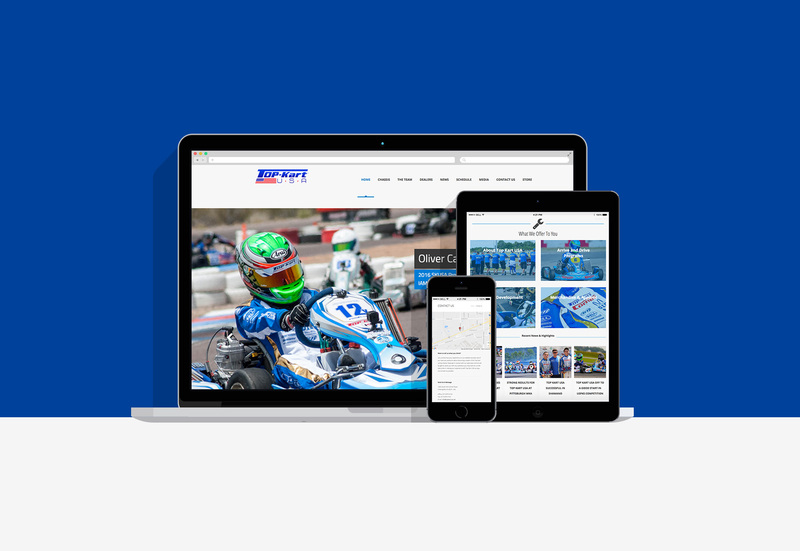 By using the Top Kart USA application customers can now keep up with social media all in one simple location, place orders directly from the app, contact the staff, or even share photos with the Top Kart community. A continued success for Top Kart USA they will always have. Creativeworks-Design has the ability to bring new innovative ideas and implement them throughout Top Kart USA’s digital media outlets. Mobile technology never stops enhancing which allows us to expand development and continue bringing new features and functions to the clients of Top Kart USA.